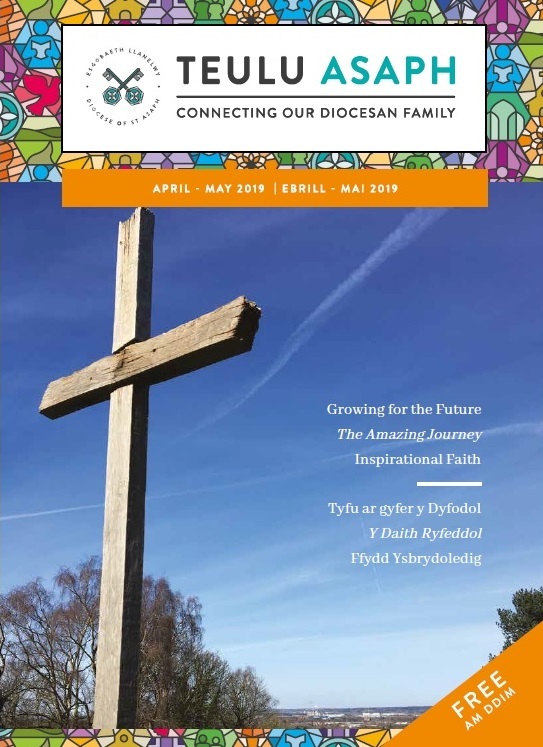 The April/May edition of Teulu Asaph is now out in churches across the Diocese. This edition includes news on the bid to the Evangelism Fund, the purchase of Hope Street in Wrexham and the opening of new accommodation for people who are homeless in Flintshire. Pick up a copy in your local church or read it online here. 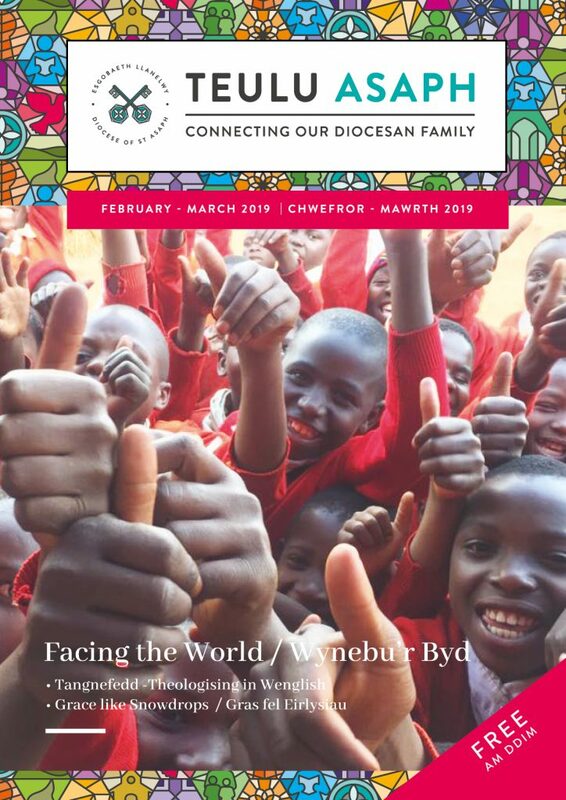 The February / March edition of Teulu Asaph is now available with articles focusing on the place of the church in the world. Read it in full here or pick up a copy in your local church. 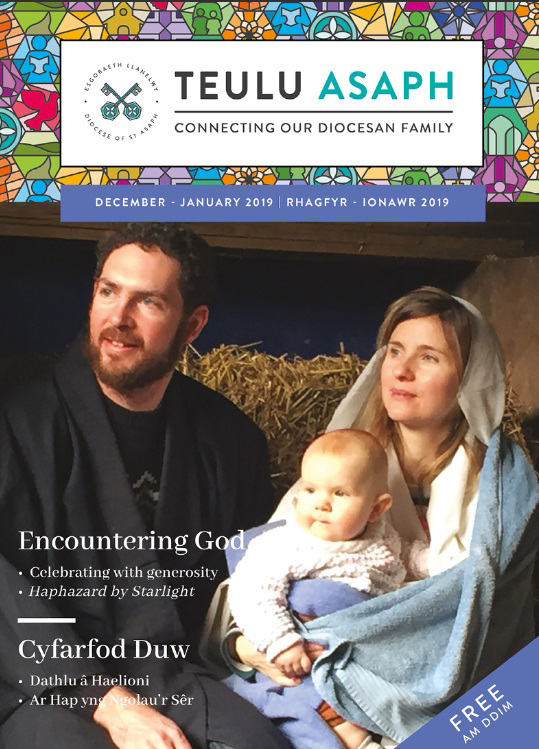 The latest Teulu Asaph reflects on the season of Advent, Christmas and beyond into 2019.